Four years ago, Panini America’s FIFA World Cup™ Prizm brand seemingly came from out of nowhere to become a global collecting phenomenon. For any number of reasons — foremost among them a rare-but-regal checklist of autograph signers and the alluring presence of colorful Prizm parallels — the product resonated on an international stage. And it raised the bar for any soccer product that followed. Fast forward four years and the scene is set for the highly anticipated encore. 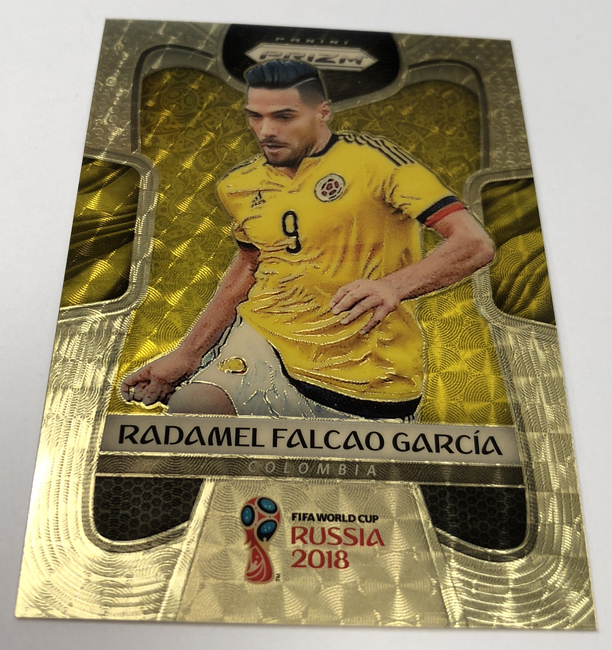 This time around, there’s absolutely no chance that FIFA World Cup Prizm will catch anyone by surprise. 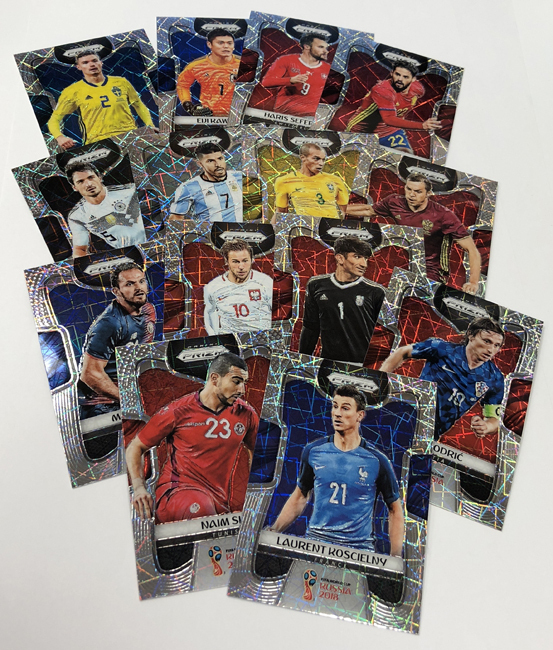 Indeed, judging by last week’s six-minute sell-out of the limited “1st Off The Line” edition of 2018 FIFA World Cup™ Prizm, collectors are ready. Available TODAY at Sports Cards Plus for just $112 per box delivering 16 Prizm parallels and at least six inserts. Look for special SP inserts such as the stunning National Landmarks, which features custom illustrations for one player from each of the 32 qualified nations. As for the autograph checklist, well, it’s pretty spectacular once again. More than 22 of the 32 qualified nations are represented with autographs in 2018 FIFA World Cup™ Prizm. So are the likes of Cristiano Ronaldo, Lionel Messi, Javier Hernandez, Neymar Jr., Robert Lewandowski, Harry Kane and many more. 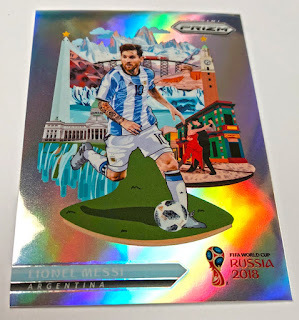 Panini America’s highly anticipated 2018 FIFA World Cup™ Prizm product with a proven recipe dominated by vibrant colors, international superstars and a checklist of autograph signers featuring legends, current superstars and future greats. The product delivers the first-ever certified autographs of nine players, including Shinji Kagawa (Japan, Borussia Dortmund), Philippe Coutinho (Brazil, FC Barcelona), Yann Sommer (Switzerland, Gladbach), Matthew Leckie (Australia, Hertha Berlin), and “el Matador” Luis Hernandez (Mexico, UANL Tigres). Additionally, look for signatures of superstars past and present including Cristiano Ronaldo, Neymar Jr., Lionel Messi, Paulo Dybala, Diego Maradona, Pele, Thierry Henry and more. On average, each 12-box hobby case of 2018 FIFA World Cup™ Prizm will deliver seven autographs on average. Boxes that do not contain an autograph will either be Lazer Prizm Hot Boxes or include an SP insert and a Prizm numbered to 25 or less. 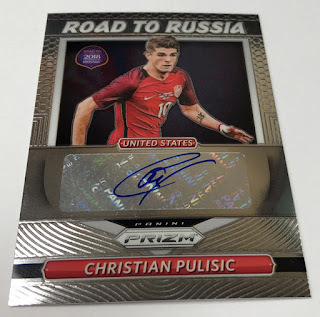 To add to the excitement, first to pull a Christian Pulisic World Cup Prizm Auto in our store WINS $100.00 at Sports Cards Plus! Please note: packs/boxes must be open in our store in order to win.